The co-founder of the world’s biggest biotechnology company has cast a long shadow. George Rathmann, a burly, good-natured biotech pioneer, has long been gone from the Thousand Oaks campus of industry giant Amgen. But the co-founder of the world’s biggest biotechnology company has cast a long shadow. 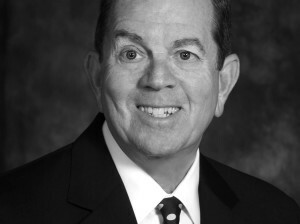 The company he helped create dominates the economy of the Conejo Valley, employing more than 5,000 people at its Ventura County campus and spinning off a handful of promising startups. Rathmann, who died in Palo Alto at age 84 on April 22, was the lead scientist who raised the capital, put in his own money when cash was short and basically gave birth to the company that gave us the first of the biotech blockbuster drugs, Epogen. His recognition that a drug that could boost red blood cell counts in humans would have very broad applications made him a true visionary. Thousands of people — folks suffering from the side effects of cancer treatments, diabetes and other serious illnesses — have used Epogen as a life-saving drug or a key to a successful recovery. Rathmann had two gifts. One was for raising capital for early stage ventures. The second was for recognizing the promise of early stage treatments and for having the courage to see them through to clinical trials. He did not have a gift for building large bureaucracies or running multinational operations. 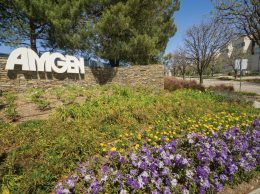 So in the late 1980s, as Amgen was ramping up rapidly into becoming a biotech powerhouse, he gave up day-to-day management duties, and by 1990 he’d left the company entirely. His Amgen stock turned out to be worth about $100 million, and he went on to found two more biotechnology startups. In 2005, Amgen created the annual George B. Rathmann Award, the company’s highest honor, to recognize staff members who exemplify Amgen’s standards for helping patients. But his greatest legacy was leaving the company in a way that enabled the next generation of management to grow Amgen into the world’s biggest biotechnology company, which has a market capitalization of $54 billion. A stand-alone success story is a rare thing indeed in the pharma industry. Almost as rare as a true visionary.